The ACCSC and our member organizations host a number of events and workshops throughout the year. Arty Party - Will be held in January of each year. A chance to meet your Board, other members and network while hearing about the upcoming events and programs for the year! Heritage Day of Strathcona County this event will be held in June of each year. Working with the Diversity Committee this event showcases our local cultures, heritage and art. With a new performance every 30 minutes and many vendors to explore, participants can immerse themselves in local arts and culture. 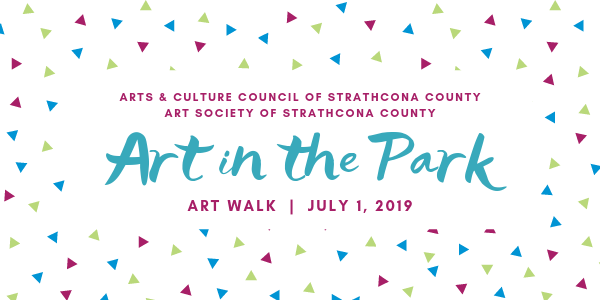 Art Walk - A new signature event working with one of our members the Art Society of Strathcona County. This event will be held on Canada Day and provides an excellent marketing opportunity for our members to showcase their work to thousands. With art demonstrations held throughout the day its sure to be a family friendly destination! The ACCSC offers a variety of workshops which have included and are not limited to: Grant Writing, Marketing, Public Speaking and more! The ACCSC strives to work with our membership to provide quality and meaningful workshops in all areas of artistic development. Do you have a topic or skill you would like to see us offer a workshop on? Please email us your suggestions! Members can forward their events and workshops to info@accsc.ca to be posted on this site. Enjoy with us a trip through the past 40 years with musical pieces from all 4 decades. We think you’ll be able to see how we’ve evolved from our humble beginnings in Josephburg to a well-respected musical troop that has travelled across Canada and into the US. Tickets are $20 and available from any member of the Society or by calling Len Shrimpton at 780-464-4264. We’re recommending that you order your tickets in advance because feedback so far suggests that we will be sold out. Call For Performers and Vendors! The 2019 Heritage Day Celebration is Growing and we would like to invite you to join us on this exciting adventure! Let's put Strathcona County's Arts and Culture on the map with this fun family event! Performances are 30 minutes on a 20x15 stage. Music can be played through the sound booth at the Agora. Please have your music on a listening device that we can plug an AUX cord into. Additional Microphones are available. Performances can be, dance, theater, comedy, music etc. A $150 honorarium will be issued to the group or individual after the performance. Applying to perform does not guarantee you a time slot on stage as space and time is limited. Preference will be given to ACCSC members and will be selected by the Heritage Day planning committee. If you would like to sell heritage crafts, art etc. or provide an educational table display about your culture we would love to have you join us! A $50 cheque deposit will be required to secure your booth/s. Upon arrival to set up your display at Heritage Day your cheque will be returned to you. Heritage crafts include, knitting, weaving, carving etc. Home based businesses such as Scentsy, Tupperware etc will not be accepted. Once performances and vendors have been selected there will be an opportunity to share your art/group/business through radio interviews and advertising. Contact the Art Society to arrange a drop off time. November 25, 2017 How Can I Keep from Singing? April 15, 2016 Spring into Art! April 13, 2016 Ginger & Rosemary Theatre presents "Three on a Seesaw"
September 26, 2015 Celebrate Alberta Culture Days with us. September 27, 2014 What is Pop Art?